The speakers discuss a contemporary global topic at the University of Chicago or the Alliance Française de Chicago, followed by a question and answer session with the audience and partner locations. Through this series of debates, mutual representations between the United States and France are challenged and re-evaluated. A lecture by Pascal Brice, Director-General of the French Office for the Protection of Refugees and Stateless Persons at the Harris School of Public Policy at the University of Chicago. BROADCASTED LIVE IN 10 MIDWEST CITIES: Chicago, Elmhurst, Milwaukee, Minneapolis, Kirksville, Detroit, Urbana-Champaign, Bloomington, Lexington and Cincinnati. A conversation with Dany Laferrière, first Haitian and first Quebecer called to the prestigious Académie Française with Joëlle Vitiello, Professor and Chair of the Department of French Literature at Macalester College at St. Paul. BROADCASTED LIVE IN 9 MIDWEST CITIES: Chicago, Milwaukee, Minneapolis, St Louis, Kirksville, Detroit, Urbana-Champaign, Kansas City and Fort Wayne. 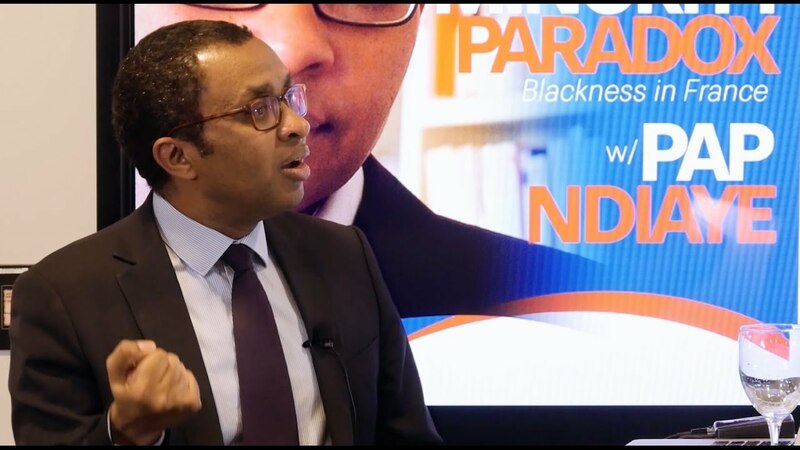 A lecture by, and conversation with, Pap NDiaye, author and professor at the Institut d'Etudes Politiques de Paris. Post-lecture discussion is moderated by Michael C. Dawson (Professor, Political Science, Faculty Director, CSRPC). BROADCASTED LIVE IN 12 MIDWEST CITIES: Chicago, Milwaukee, Minneapolis, Northfield, Kirksville, Detroit, Bloomington, Valparaiso, Kansas City, Omaha, Allendale and Columbus. Christiane Taubira, the former Minister of Justice of France, discusses civil rights, women’s rights and the rights of disadvantaged youth. The 2016 program was recorded by Chicago Access Network Television (CAN TV). BROADCASTED LIVE IN 11 MIDWEST CITIES: Chicago, Milwaukee, Minneapolis, Evanston, Kirksville, Detroit, Bloomington, Cincinnati, St Louis, Allendale and Columbus. Agnès Varda speaks about and reflects on various stages of her artistic career as a photographer, a filmmaker, and as a visual artist. The talk is followed by a Q&A moderated by Professor of cinema Dominique Bluher (University of Chicago). BROADCASTED LIVE IN 9 MIDWEST CITIES: Chicago, Milwaukee, Minneapolis, Kansas City, Houghton, Omaha, St Louis, Madison and Columbus. 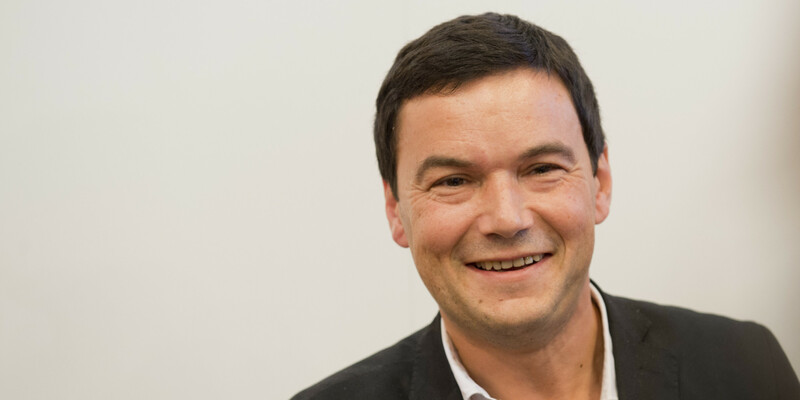 A lecture and conversation with Thomas Piketty, author of the best-selling book Capital in the Twenty-First Century. Piketty is a French economist and professor at the Paris School of Economics whose work focuses on wealth and income inequality. BROADCASTED LIVE IN 10 MIDWEST CITIES: Chicago, Cincinnati, Milwaukee, Minneapolis, Kansas City, Houghton, Omaha, St Louis, Madison and Lexington. A lecture and conversation with French documentarist Marie Monique Robin to provide American audiences with an understanding of the context of environmental policy in the EU, the US and the global community. A conversation with“Charlie Hebdo” journalist Zineb El Rhazoui discussing the context surrounding the Charlie Hebdo attack, the French culture of satire and secularism, and freedom of expression in contemporary society, moderated by Robert Morrissey, the Benjamin Franklin Professor of French Literature and executive director of the France Chicago Center at the University of Chicago. Dominique de Villepin, former Prime Minister and Foreign Affairs Minister of France give his own perspective on more than ten years of foreign intervention and diplomacy around the world. Current Chair of History of the Contemporary Arab World at the Collège de France in Paris, Henry Laurens explores the complex and fascinating relationship between France and the Arab world, from colonialism to present-day tensions, on a quest to uncover the "Franco-Arab thing." Professors Julia Kristeva and Arnold Davidson discuss the future of the Humanities in North America and Europe. Referencing several thinkers such as Michel Foucault, Primo Levi, and Immanuel Kant, this discussion touches on a range of issues concerning the humanities. In this talk organized by the University of Chicago French Club, Fadela Amara (Ni Putes Ni Soumises founder and former French minister) describes the rise of Islamic fundamentalism in the predominantly poor immigrant neighborhoods surrounding French cities (banlieues) that led to the ban on the burqa.